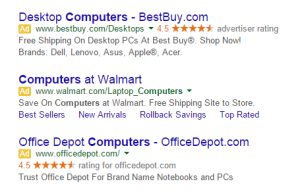 AdWords vs Bing Ads: Which is Better? Google AdWords vs. Bing Ads: Which is Right for Your Business? If your business is on the web, you’ve probably heard of pay-per-click (PPC) ads. Perhaps you have even tried them out. But whether you already use them or are just now looking into PPC, one important question may be on your mind: is one PPC ad provider better than the other? For those of you who are new to the pay-per-click scene, the concept is that an advertiser chooses keywords that he or she believes are the most relevant to what they offer online. The ad is then eligible to show up in a variety of ad spaces when those keywords are searched. Where the ad shows up in comparison to other advertisers bidding on a particular keyword depends on the maximum amount the advertiser is willing to pay for each click, how relevant the ad is to the search term, and the history of that advertiser’s account… among other things. Each potential advertiser takes part in a very fast, essentially automatic auction every time their chosen keywords are searched. Various advertisers’ campaigns that contain the same keywords are compared to each other to determine who comes out on top. With two major options available for PPC advertising — Google AdWords and the Yahoo! Bing Network — you may be wondering which is right for your business. When should you use AdWords vs. Bing Ads? Let me break it down for you. Google AdWords provides ad space in either the Google Search Network or the Google Display Network. The position in which your Google Search ad appears depends on a variety of factors. These include your maximum bid, the quality score of your ad, and the competition on the keyword you are targeting. The Google Display Network shows your ads on specific websites rather than in search engine results. More than a million websites participate in the Display Network. On both Google networks, you will get a dedicated Account Manager… that is, if your ad spend is $500,000 per year. 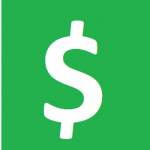 Bing provides account management for advertisers spending as little as $500 per month. The Google AdWords search network boasts 67% of the U.S. search market share vs. the Yahoo! Bing network, which gets about 29%. With so much of the search market share going to Google, why would anyone want or need to use Yahoo! Bing Network Ads? There are several advantages to advertising on the Yahoo! Bing Network. These should all be considered when it comes to the great debate of Google AdWords vs. Bing Ads. The Yahoo! Bing Network often has a lower cost per click and higher clickthrough rate, because there is less competition. That means your ads can get to a higher position more easily than on Google. The Yahoo! Bing Network consists of an older generation than the Google network. Microsoft owns both Internet Explorer (IE) and Bing Ads, so Bing is the default search engine for IE. Internet Explorer/Bing users are more likely to be female, age 45+, while Chrome/Google users are more likely to be Male, age 18-44. If you are targeting an older demographic who has more disposable income, Bing may offer a reasonable opportunity for you. Bing even goes as far as to offer a tool to easily import your Google AdWords campaigns to their platform. Perhaps this works to your advantage as an advertiser. If you have a somewhat limited budget, you are more likely to get a lower cost-per-click (CPC) and some form of good customer service when you use Bing. Bing also enjoys a large audience who is using their search platform exclusively. 16 million people use Bing for travel-related searches, and overall, 45 million people are using Bing as their preferred search engine. It may be a drop in the bucket compared to Google, but as you can see, there are definitely some advantages. Should You Use AdWords or Bing Ads? You don’t want to miss out on the huge search share that Google has by not running ads using Google AdWords, but you should also consider the Yahoo! Bing Network. My suggestion is to start out in AdWords, and as your budget grows and you get better at online advertising, allocate a portion of your budget to the Yahoo! Bing Network. For many advertisers, your best practice will be to allocate most of your budget to AdWords, but also allocate a portion to Bing. You can increase or decrease this portion as needed. The ideal advertiser for the Yahoo Bing! Network is one who has a low budget, or wants to capture the audience using Bing exclusively. You should also use the Yahoo! Bing Network if your target market is travelers, since there are a large number of searchers for you to get in front of who are using Bing for that specific purpose. Overall, as advertisers, we want to make sure we are capturing all the relevant searches we can by spending the least amount of our hard-earned dollars. Take a minute to analyze your goals and target audience, and then plan your PPC strategy accordingly. Remember that the Yahoo! Bing Network includes many searchers who are exclusively searching on Bing – and many of them are an older demographic than those searching on Google. While it is tempting to dive right into Google AdWords with your entire online marketing budget, you should also plan to allocate a portion to Bing, especially if your target audience meets any of the criteria I listed above. Have any questions about PPC, AdWords, or Bing Ads? Be sure to leave a comment below and I will get back to you right away. Pam Bensin is an Internet Marketer at WebFX who has a passion for business strategy and helping others.